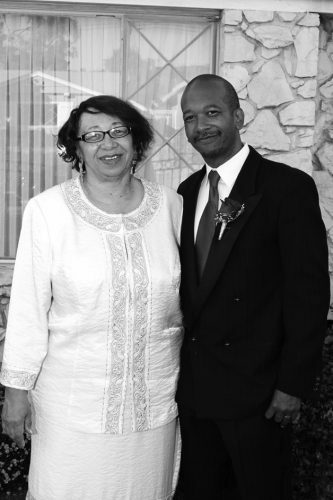 Reverend Carolyn Williams Bell’s smile was an unabashed, radiant display of wisdom. It was not the least bit intimidating. When she adorned you with it, accompanied with eyes that sparkled, you instinctively felt hers was wisdom touched by the ancients. At 12:50 p.m., Tuesday, September 11, 2018, Rev. Bell, age 73, joined the ancients and her smile is certain to add a new iridescence to Heaven. Having had benefit of her mentorship, I have known Carolyn for many years and was very much aware that she was quite an accomplished, regal African-American woman. To be in her presence was a conspicuous blessing. Yet, she had such a great depth of spirit and record of achievement that no single person could be an adequate repository for all that she represented. That is, except her son Marcus “Bellringer” Bell. Marcus Bell is himself quite accomplished. A world class music producer and writer who founded Bellringer Productions, his client list includes a host of Grammy winners and multi-platinum selling artists; contributing to projects produced by the likes of ABC, CBS, MTV, NBC, BET, Discovery, and many more. Dominion University, where amongst many positions, Rev. Bell served as Assistant Dean for Student Affairs and Director of Community Relations. Like many mentees before her, Fields paid attention. She has successfully escaped the revolving door of recidivism these last 12 years, has been married for 10 years, and owns a home. But lest you think the above platitudes are mere emotional sentiments expressed by those who dearly loved Rev. Bell. Following is just a quick glance at what distinguished her as an exceptionally accomplished professional, clearly motivated by community service. Having earned a Bachelor of Social Work and Sociology at Central State University, Wilberforce, Ohio, Rev. Bell received a Master of Science in Educational Guidance at Virginia State University and a Master of Divinity from Virginia Union University. She is an ordained minister and a former associate pastor at Canaan Baptist Church, Suffolk, VA.
She founded and served as the first president of the former Park Place Redevelopment Foundation. Under her leadership, the Foundation secured $60,000 in funding from the Ford Foundation to initiate construction in that community. Over the years, the Foundation would renovate or construct 37 houses in Park Place. 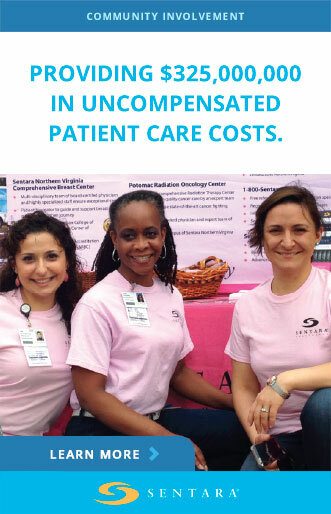 She also led the charge in securing more than $2 million to renovate or construct housing in the Brambleton community. Additionally, as Associate Vice-President for Advancement and the Director of Community Relations, Norfolk State University, she administered a U.S. Department of Housing and Urban Development (HUD) funded program that provided low-income housing communities with mentoring programs and community empowerment projects. Rev. Bell had also served as a Case Manager for the Portsmouth Redevelopment and Housing Authority. She was also a published author. She wrote “That’s Pretty,” a biography of the late Rev. A. R. Walker, a former Buffalo Soldier and who, at publication, was recognized as Virginia’s oldest active pastor. “Bellringer Branding Bible,” co-authored with son Marcus, became an Amazon “# 1 Best Seller.” She also published the “Spiritual Times” newspaper, distributed to over local 100 churches, highlighting news for the faithful. Having a great disdain for social injustice, especially as experienced by people with roots in the African diaspora, Rev. Bell’s passion for community activism was spawned very early in life. Though she was arrested for a sit-in while a student in Wilberforce Ohio, she also participated at a Woolworth’s sit-in while still a high school student at Portsmouth’s I.C. Norcom. Association State Singles Championships. 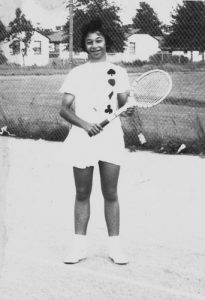 In 1961, she was elected as the Olympian Sports Club “Athlete of the Year.” She also shared many state doubles titles with her brother Lamar. Sometimes, you encounter people in your life that, when you look back over your acquaintance, it is like basking in a distinctive light. If you knew Rev. Carolyn Williams Bell and she flashed that radiant smile on you, eyes twinkling like they were coming from another place and time, you’ll be quite familiar with the experience. When some people transition, you know that theirs was a spirit so rich in life, that it is destined to linger in your own spirit. And you’re thankful for it, because you know that they’ll ever be smiling upon you. The viewing for Reverend Carolyn Williams Bell will be at J. T. Fisher Funeral Home, 1248 George Washington Highway North, Chesapeake, VA 23323, on Thursday, September 20, 2018, from 4 p.m. to 7 p.m. The homegoing service will be conducted at Grove Baptist Church, 5910 West Norfolk Road, Portsmouth, VA 23703, on Friday, September 21, 2018, at 11 a.m. The doors of the church will open at 10 a.m.